A woman named Colleen Burns recently opened her eyes to find herself on an operating table in a hospital in Syracuse, New York. Looking around, she noticed that she was the subject of the operation. 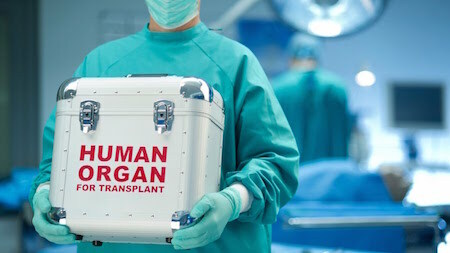 It turns out doctors were about to harvest organs and send them to other waiting surgeons who could transplant them into other patients. This is NOT fiction. It was covered by ABC News and several other news sources – it really happened. And how did it happen? Doctors falsely pronounced her dead by fraudulently claiming she had suffered “cardiopulmonary arrest” and “irreversible brain damage.” This gave them the medical justification to start slicing away even while the women’s heart was still beating. See, you and I think “dead” means your heart isn’t beating, your brain isn’t functioning, and your lifeless. But hospitals – which happened to generate huge profits from the trade of transplant organs – have a strong financial incentive to declare you “medically dead” long before you’re actually lifeless. They can, in fact, declare you “dead” even when your heart is still beating and you still have brain activity. And they often do. This is how a lot of the organ harvesting in America actually gets done: Patients that are on the verge of death, but not yet actually dead, are simply “declared” dead, then their organs are quickly removed, killing them for good. WATCH: As Fresno Firefighter Falls Through Roof Of Burning Home!